Ding Dong! Locks, keys and doorbells are the perfect match for the perfect toy! Fun is at the do..
A classic toy... The pegs on the bench go up and down, playing peekaboo on this solid wood pound..
Personalized name tag! 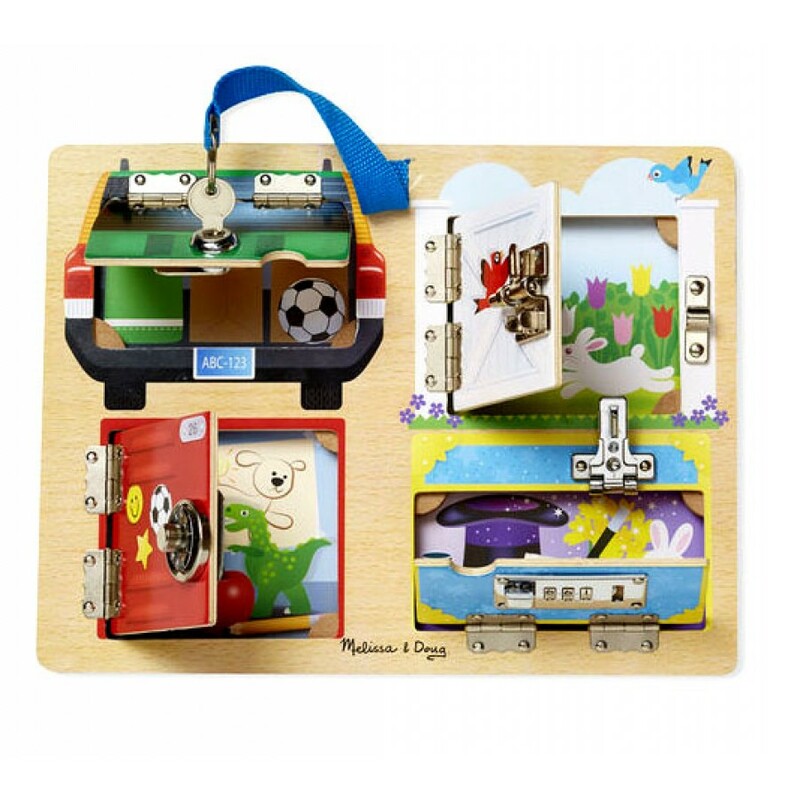 Give little builders all the tools they need to for truly constructive pl..
Easy to carry thank to the integrated handle 3 magnetic tools, a large workplan, vice and 22 acc..
Time to play! A delightful wooden bird house shape sorter with 6 pieces to post, each in a dif..
Locks and keys are the perfect match for the perfect toy! Behind the three doors of this take-al..